2019 Best Mechanical Engineering Colleges in the U.S. While not as fashionable as other majors, there are still a considerable number of students majoring in Mechanical Engineering. 32,872 students graduate with a ME degree per year, which means it has a ranking of 16th most common. Mechanical Engineering graduates on average earn $57,795 in their early career salary and $96,360 for their mid-career. The income for this major are 32.0% greater than the typical college grad. In fact, Mechanical Engineering is ranked 13 out of 121 majors analyzed when it comes to estimated income. Learn about the top ranked colleges and universities for Mechanical Engineering majors. Some of the factors included in the ranking methodology include education quality, average earnings of graduates, accreditation, and more. Massachusetts Institute of Technology is the best option for students thinking about a Mechanical Engineering degree. This is quite a common major at MIT, with 13.0% of undergrads enrolled in it. Cambridge, Massachusetts is an ideal area for learners who enjoy the fast-paced city life. 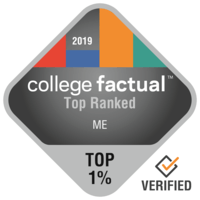 Because of its affordable price and fantastic instructional programs, Massachusetts Institute of Technology is a good investment, attaining a position of #12 in Massachusetts. Score more than 34 on the ACT? That's above the average applicant score, so definitely submit it. Get an idea of what being on campus at MIT is really like by seeing a few campus videos. Any student who is interested in Mechanical Engineering has to take a look at Georgia Institute of Technology - Main Campus. With 594 students enrolled, me is one of most popular majors at Georgia Institute of Technology - Main Campus. The setting in a large urban center is great for young people seeking ample choices for networking, excitement, and exploration. Every student who is interested in Mechanical Engineering has to look into Rose - Hulman Institute of Technology. The me program at Rose - Hulman Institute of Technology is highly focused. Located in Terre Haute, Indiana, this college is a strong final choice for students who enjoy the joy of a major city. Not only is Rose - Hulman Institute of Technology one of the best colleges in Indiana, 66.0% of its students come from out-of-state. The more time it takes to finish their education the more loans students have to take on. View every one of Rose - Hulman Institute of Technology's rankings to find out more. It is hard to beat California Institute of Technology if you wish to study Mechanical Engineering. Graduates of the me program earn an average of $63,465 in their early career salary and $110,164 in their mid-career salary. Positioned in Pasadena, California, this school is a strong choice for students who enjoy the exhilaration of a substantial city. With 90.3% of the professors being full time, students are sure to get plenty of interaction with educators. About 47.0% of applicants submit ACT scores, with the typical score being in the 35 range. Want to learn more about California Institute of Technology's campus? Have a virtual tour. Kettering University is a good decision for students pursuing a Mechanical Engineering degree. With 181 students enrolled, me is one of most popular majors at Kettering University. The setting in a large city is wonderful for students seeking ample choices for networking, excitement, and discovery. This school is well-known for the support of military personnel and is the 663 best in the United States for veterans. Even if you're not from Michigan, you won't feel as if you're the odd one out at this school. Around 18.8% of undergrads are from out-of-state. Videos from Kettering are a great way to get more info on the university. Any student pursuing a degree in Mechanical Engineering has to check out Worcester Polytechnic Institute. Worcester Polytechnic Institute mechanical engineering majors make 3.7% more than the typical me graduate. Worcester, Massachusetts is the perfect setting for learners who enjoy the active urban lifestyle. Considering that 7.0% of student loan borrowers have defaulted, WPI's default rate of 1.1% is quite notable. Each year, around 99.0% first-year students receive scholarships, with the typical award being $19,222. Obtain all the vital specifics on WPI by checking out their scorecard. Rensselaer Polytechnic Institute is among your top options if you want to study Mechanical Engineering. Students who graduate from the me program earn an average of $60,036 in their early career salary and $113,258 in their mid-career salary. Placed in Troy, New York, this school is a sound choice for students who enjoy the thrills of a substantial city. It's difficult to beat Stevens Institute of Technology if you wish to study Mechanical Engineering. In addition to its bachelor's programs, Stevens Institute of Technology offers graduate degrees in ME. It is placed in the suburban region of Hoboken, New Jersey. You may want to study extra hard for your SAT; the typical score of applicants to Stevens is 1,350. 95.0% of freshmen return for their 2nd year. If you are interested in finding out more, you can view all of Stevens Institute of Technology's rankings here. Stanford University is among your best bets if you're planning on studying Mechanical Engineering. Stanford University offers graduate degrees in me for those interested in an advanced degree. Based in Stanford, California, Stanford offers a dependable, suburban atmosphere for young people. It's difficult to beat Texas A&M University - College Station if you wish to study Mechanical Engineering. In addition to its bachelor's programs, Texas A&M University - College Station offers graduate degrees in ME. Situated in College Station, Texas, this college is ideal for students who prosper in a city atmosphere.